John assumed the role of Worldwide Creative Director in April 2003. John's task was to re-direct the agency's reputation by becoming a creative compass for the network. He has helped re-shape the network to think less about ads and more about ideas. Creativity Magazine ranked TBWA the most awarded network in its 2004 Creativity Awards Year In Review. TBWA was the most awarded network at the 2004 Cannes Lions International Advertising Festival, winning 41 Lions across all categories, including the film Grand Prix. TBWA was also the most awarded network at the 33rd Annual One Show and at the 83rd Annual Art Directors' Club awards, winning a total of eight awards. John has also implemented programs into the network to help grow and utilize its creative talent, such as the Young Bloods programs. He has also developed a SWAT (Special Weapons And Tactics) team, which offers a unique opportunity for top creative teams to collaborate more closely. 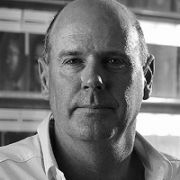 Born in Zambia and educated in England and South Africa, John Hunt was the Creative Founding Partner of TBWA Hunt Lascaris. TBWAHunt Lascaris has now grown to be South Africa's premier advertising agency - named Agency of the Year six times in the last seven years. In addition, in 1993 the agency was International Agency of the Year; in 1994, Marketing Organization of the Year and in 2000, Advertising Age's Agency of the Year for Europe, Middle East and Africa. In1993 John was intimately involved in Nelson Mandela's first ANC election campaign. Three years later, he joined the South African Advertising Hall of Fame - the first working creative to be so honored, and in 1997 he received the Financial Mail's Long Term Achievement Award. John is married with three children. He was named South African Playwright of the Year and collects African art.